As the federal election draws closer, political candidates across the country are busy developing detailed strategies for communications and media outreach. Increasingly, politicians are turning to reddit and participating in Ask Me Anythings, better known as AMAs. Published in J-Source – November 28, 2014. With more than 50,000 subscribers on one of the world’s biggest websites, the Toronto subreddit is an important space for breaking news and thoughtful debate about the city. During the recent mayoral election, four candidates took to the website to hold informal impromptu Q&As, including Olivia Chow, the only front-running candidate to participate. The site’s importance in shaping opinions and broadening discussion cannot be understated. But in an online community of that size, who drives the conversation? With the election in full swing, I undertook a study to determine which news sources had the best penetration into the local subreddit. Click here to continue reading on J-Source. Each week, Social Circles brings you the biggest news from behind the social networks. Keep up to date with the latest trends, breaking news, and expert analysis from across the web. This week’s wrap-up includes Facebook’s new competition for LinkedIn, Uber giving passengers the opportunity to play DJ, and a major shake-up at reddit’s head offices. For a smattering of Adult Swim viewers who happened to be watching infomercials at 4:00 a.m. on Halloween, history was witnessed. It was at that time, unexpectedly and without warning, that “Too Many Cooks” first aired on television. At first, it went ignored. No-one was talking about it, and those who had watched live were likely still trying to figure out what had happened to their cable sets. Quickly, the video raced to the front page, and in the days since, it’s become a monster impossible to handle. Adult Swim posted the video to their YouTube channel seven days ago. It’s already racked up more than a million views since. The title words began trending on major social media platforms like Twitter, Facebook, and Instagram. Online news outlets and blogs like Buzzfeed, Gawker, Grantland, and Mashable declared the video a must-see. Even the mainstream media have jumped in, with Rolling Stone calling it an instant cult classic and Esquire deeming it a revelation. Rian Johnson, director of Looper and the upcoming Star Wars movie, deemed it Oscar worthy. As Toronto’s municipal election heats up, candidates for mayor and council alike are experimenting with the potential of reddit to deliver their campaign platforms and messages to an engaged audience online. For the 48,000+ subscribers to the city’s subreddit, it’s been a busy month. Toronto’s City Hall illuminated at night. With the election campaign in full swing, many mayoral candidates have taken to reddit. But what is the point of logging on to this specific community to take questions and deliver campaign lines? What benefits does it afford, and what are the risks associated? I’ve briefly talked about this before, and while this is still far from a complete discussion, it will hopefully offer an introduction to the political AMA on reddit. Roberto Alvarez got the ball rolling on August 6, when the nominee for councillor of Ward 3 took to the site to answer questions. It wasn’t huge, garnering only 34 comments (which includes his responses) and 64 upvotes. That said, Alvarez spoke oienly and honestly, fielding questions about Rob Ford and the relationship between Homer and Flanders from The Simpsons with ease. More Importantly, he didn’t shy away from tough questions. By all accounts, it was a good use of campaign time and efforts. People think the internet is a free for all, it isn’t. I’ll gladly retain counsel and sue for slander anyone who claims I’m what i am not. From there, things degenerated. Taking on his threat to identify users’ IP addresses and deal with them legally, users began coming up with far-fetched and obvious lies about the candidate (one calling him a Satanist) while others offered definitions and legal interpretations of slander and defamation laws in Canada. As one user plainly stated: “Threatening to sue voters is an interesting campaign strategy.” Perhaps shockingly, Alves deleted his first account and came back to the site with another new name and has seemed to buy in to the community. He apologized for his outburst, and has since been an active commenter on the Toronto subreddit, as well as another dedicated to British television show Dr. Who. And so, there are the two directions a political AMA like this can go. Depending on how well you connect with the users, and really how well you fit into reddit’s culture, can make or break it. A negative impression early on can bury you. Making this case study of the Toronto election even more interesting is the active outreach that moderators of the subreddit undertook to reach out to all mayoral candidates. So far, Ari Goldkind, Mark Cidade, Olivia Chow, and Morgan Baskin have answered the call. It sounds like a headline from The Onion, but everyone’s favourite Shiba Inu meme-inspired digital currency will get its moment in the Talladega spotlight next weekend. 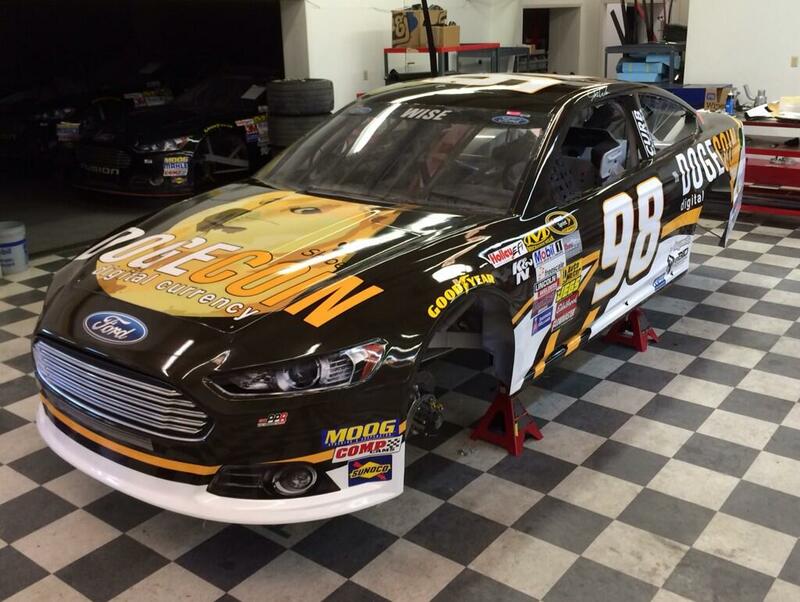 Dogecoin has sponsored the #98 car for the Aaron’s 499 at the Talladega Super Speedway next weekend.